Details : JVC GZ-MG330, without flash, F 2.8, 10/2500 s.
A COMPARATIVE ASSESSMENT OF THE APPROACHES AND PRACTICES OF CORPORATE SOCIAL RESPONSIBILITY BY ECONET AND NATIONAL RAILWAYS OF ZIMBABWE (NRZ). The research focuses on the application of Corporate Social Responsibility (CSR) or Corporate Social Investment (CSI) by Public Relations (PR) departments at Econet and National Railways of Zimbabwe (NRZ), two corporations that operate in Zimbabwe but with different business interests and areas of specialization. This presentation outlines and assesses CSR programmes implemented by Econet and NRZ to benefit their publics and communities as part of excellent PR. A comparative assessment approach between Econet and NRZ PR departments is used. Data gathering methods used in this study are face-to-face interviews, structured interviews, documentaries and content analysis of documents. These were subjected to both qualitative and quantitative methods of data analysis. The theoretical framework that informed this study encompassed the Two-way Symmetrical Model of communication, Three Cs Social Responsibility Model, Corporate philanthropy, Open system model of communication and Corporate Social Responsibility model of PR. The study established that both corporates' PR departments are part of the management and are involved in the implementation of CSR programmes, which are of mutual benefit to them and their publics. However, it emerged in the study that Econet has more CSR programmes than NRZ and that the former's programmes benefit both internal and external publics while the latter's programmes benefit the internal more than the external publics. The study also problematised this disparity between Econet and NRZ's programmes given the latter's longer history of existence. Therefore, the assessment of the application of CSR by Econet and NRZ, despite the nature and background of the two corporate organisations in Zimbabwe, sheds light on the successes and value of CSR to PR endeavours. This study seeks to look into the application of CSR by National Railways of Zimbabwe (NRZ) and Econet's PR department. Cutlip et al (2001:1) say that public relations are the management function that establishes and maintains mutually beneficial relationships between an organisation and the publics on whom its success or failure depends. Puth and Lubbe (1994:179) define CSR as a generic concept referring to business organisations'concern and active two-way involvement with the social, economic and political forces which way influence the environment. Both corporations Econet and NRZ have a CSR programme that cover CSR wide ranges such as education, health, sports, environment and so forth. From the assessment deduced from questionnaires, interviews, documentaries and content analysis. Econet unlike NRZ, has 8 CSR programmes that benefits the publics, while NRZ have 5 CSR programmes that benefits the publics. CSR have six salient aspects that is community involvement, development and investment, involvement and respect for diverse cultures and disadvantaged people, corporate philanthropy and employee volunteering, customer satisfaction and adherence to principles of fair competition, anti-bribery and anti-corruption measures, accountability, transparency and performance reporting and suppliers relations, for both domestic and international supply chains. Econet and NRZ have CSR programs that assist the communities they serve. All their CSR programs are implemented by their PR departments with the influence they get from the community. Therefore a comparative approach between Econet and NRZ practices to CSR as a communication strategy to enhance excellent PR is used. The presentation analyzes comparatively mutual benefit by internal and external publics from the CSR programs run by NRZ and Econet. Kotler and Lee (2005) submit that the history of CSR is as old as trade and business itself, although Freedman (1962) says that; CSR is a concept that has been around since commerce began in the nineteenth Century. Kotler and Lee's submission is probably guided by the realization that trade and commerce are as old as humanity itself. CSR is an ancient phenomenon that started in the Western countries in the early 1970's. In early 1980's most PR departments for corporate organisations were already practicing it. For instance, Johnson and Johnson's classic handling of the Tylenol poisoning in 1983 became a textbook case in how to respond to a crisis. To highlight the importance and centrality of CSR Kotler and Lee (2005) note that according to KPMG, a US professional service firm, in a survey of the Global Fortune, top 2005 companies indicated a continued increase in a number of American companies reporting on corporate responsibility. PR may be said to be 20th century phenomena, or as an American concept, its roots go back to ancient Babylon, Greece and Rome. Ivy Lee (1906) is considered to be the 'grandfather' of modern PR, for he worked to end the 'public be damned' attitude (Wragg 1992). All CSR programmes are initiated and implemented by the PR department with the assistance of the stakeholders and the organisations' top management. Pearce &Robinson (2009:56) assert that there are four types of CSR namely; economic responsibilities, legal responsibilities, ethical responsibilities and discretionary responsibilities. According to Pearce &Robinson (2009), CSR is an old phenomenon that includes PR activities, good citizenship and enhances image of the organization, products and services by supporting worthy causes. It is therefore the intention of this presentation to assess comparatively how Econet and NRZ enhance good citizenship through their CSR. The world over CSR has gained momentum and discussions of it have bourgeoned. In Zimbabwe CSR is a phenomenon that started after independence in 1980. However, this phenomenon could have started with corporate organisations such as National Railways of Zimbabwe (NRZ), which grew out of a number of different companies most of which were originally formed by the British South Africa Company (BSAC) in terms of the Royal Charter granted to it on October 29 1889 (Railroader NRZ 2005). In recent times of economic meltdown in Zimbabwe, CSR has played a significant role in ameliorating social hardships for both individuals and communities. Talk of CSR has therefore dominated PR discourses in recent times; given the economic hardships mentioned above. It is against this background that this paper discusses, comparatively, the approaches and practices of CSR by PR departments at Econet and NRZ. It can also be noticed that while the two organisations fully implement CSR for good citizenship with their public they also practise philanthropy by giving directly to the community when need arises. Econet in August 2009, donated US$20.000 to Apostolic Faith Mission and NRZ in 2004 donated food and clothes to the Hwange community. The donations were mere giving of assistance to the publics for the challenges they were facing. It is again within the findings of the study that the researcher deduced that both Econet and NRZ practices philanthropy and CSR to meet the needs and objectives of their organisations and their publics. In the NRZ publication entitled 100 Years it is suggested that NRZ started CSR implementation in 1985, while documented evidence shows that Econet started CSR in 1995, two years after its establishment by Strive Masiyiwa in 1993. Again unlike Econet which implemented CSR programs two years after its establishment, NRZ implemented CSR 98 years after its establishment Furthermore, both NRZ and Econet clearly stated in their core values that their relationships with their customers and community is enthused with warmth and a genuine desire to meet their needs. Econet unlike NRZ through its core values reflect that they reached out their customer in holistic and organic ways that makes them true stakeholders by involving them in the implementation of CSR programmes. In achieving the corporate objectives, the PR departments at Econet and NRZ designed PR strategies that complement the organisations' corporate objectives. Management at Econet and NRZ allocated specific tasks to the PR departments and as such the PR strategies are designed in line with the companies' expectations. Furthermore, both Econet and NRZ PR departments are assigned to manage their internal and external communication in a two way symmetrical communication for mutual understanding (explain symmetrical com). Again in both corporations stakeholders are updated with CSR activities that ensure mutual benefit to both the organisations and their publics. However, unlike Econet that is internationally recognised and has vast CSR programs to benefit their publics, NRZ as a parastatal has less CSR programs to benefit its stakeholders. One important aspect about Econet and NRZ PR departments' approaches and practices is that they fulfill Carroll's (2003) 3C-SR Model of Corporate Social responsibility. Carrolls (2003)'s model states that; in CSR there are 3C's that is Commitments, Connections and Consistency. Commitments encompasses the legal, economic and ethical dimensions and is measured by the willingness by organization to plough back to the communities without expecting back anything from them. Connection is viewed by Norman and Ramirez (1993:64) as “Structure of relationships within the value network as the means through which joint implementation of a socially oriented value network is achieved. This then implies a stakeholder approach to ensure mutuality of interest and uniform commitment to share values across the value network”. Thus, Econet and NRZ PR departments do exactly the same in their day to day practices for excellent PR which is reciprocal in communicating with their stakeholders through implementation of CSR programs to maintain mutual understanding with their internal and external publics. Consistency refers to continued implementation of CSR programs which both Econet and NRZ enforce since they started supporting the communities. Econet is a privately owned corporation that has a resounding financial status while NRZ is a parastatal. The financial position of NRZ as compared to Econet is limited and that has negative influence in the implementation of CSR for corporate citizenship. However, NRZ like Econet clearly indicates in their company policy that they are committed to assist the community as part of CSR. The CSR at Econet and NRZ is guided by Kotler and Lee (2005)'s five Cs namely conviction, commitment, communication, consistency, continuous and credibility. Econet and NRZ in their CSR are committed to assisting their publics and communicating effectively to them through their websites, in-house publications and local media. At Econet CSR programmes such as Joshua Nkomo Scholarship and Capernaum Trust are implemented year after year and have benefited thousands of ordinary citizens of Zimbabwe. NRZ also has maintained consistency of their CSR by mplementing them year after year. The NRZ scholarships which are meant to cultivate talent are some among the programmes that can be indicated. From the information gathered it is clear that Econet and NRZ fully implement CSR to benefit its publics. The effort by the two corporate organisations maintains “credibility' which is one important C as asserted by Kotler and Lee (2005). This is a good example of open system approach between corporations and the publics. The organisations effectively communicate in an open manner and respond well to the needs of their publics. The analysis so far indicates that Econet and NRZ are two corporations with effective PR departments that have CSR to benefit their stakeholders. Unlike at Econet where PR department has clear indication that their corporation will meet most of their stakeholders needs, NRZ have no clear policy for that, despite the fact that they implement CSR programs and corporate philanthropy. Corporations, Econet and NRZ's PR departments are part of management and are involved in implementing the CSR programs. Again both PR departments at Econet and NRZ practice reciprocity that is two way communication strategy in their communications practices, through the use of modern technologies such as the internet, website, chat rooms, blogs and so forth. PR departments at the above mentioned corporations are responsible for creating news about CSR programs and also to disseminate information to all their stakeholders through modern technology. Furthermore, in their CSR/CSI both Econet and NRZ partake in education, health, environment and sports activities. Econet unlike NRZ, have more CSR programs on health issues and education that benefit all stakeholders nation wide. The PR department at Econet is more effective than NRZ in implementing CSR programs. Again unlike at NRZ where PR department started in early 80's, at Econet PR department started in the early 90's. In terms of CSR programs implemented Econet is in the lead as compared to NRZ. organisations fulfill CSR by sticking to ethical standards through assisting the publics. Programmes at NRZ such as NRZ scholarship, HIV and AIDS Capacity Building, supporting sports such as soccer and environment conservation programmes fulfil the commitment value of the corporate policies. Econet also fulfills commitment through implementation of Capernaum Trust, Joshua Nkomo Scholarship, Anti-Cholera, HIV and AIDS, Buddie Boys, and Harare Athletics Club (HAC). From the research findings it emerged that both corporate organisations, have shown their commitment through assisting their publics. Articles in The Financial Gazette dated 21-26 April 2005, 17-25 May 2007, 26-30 April 2007 and many other, web sites and in-house publications have been published which support the claim. results from a value creating system, within which different actors suppliers, business partners, allies, customers work together for corporate value. From the findings of the study both Econet and NRZ have networked with various publics in implementing CSR programmes. NRZ has CSR programmes that meet the needs of various public such as workers, community members and other organizations just like Econet. This differs with corporate social philanthropy which is giving when the corporate feels it has generated more income. Such giving is not regular and is not a fulfillment of the company policy. The information elicited from questionnaires reflects that Econet and NRZ also practise corporate social philanthropy. Econet web site, that document their CSR programmes. In a comparative assessment of understanding the term CSR, out of 20 questionnaires emailed to Econet and the other 20 emailed to NRZ, the respondents reflected a better understanding of the concept and its role in PR practices. All PR employees from the two corporations have similar understanding of CSR concept. However, at NRZ five out of 20 respondents were not clear on the differences between corporate philanthropy and CSR. At Econet almost 80% of the respondents clearly distinguished the differences that exist between corporate philanthropy and CSR. This questionnaire keeps the researcher updated on the difference that PR practitioners and their subordinates hold in CSR and Corporate Social Philanthropy. The study deduced that Econet and NRZ PR practitioners are part of management and implement the CSR programs that fulfill the 3C-SR model initiated by Carroll (2003). The PR departments show a deep insight of the activities that they practice in assisting the society as CSR. 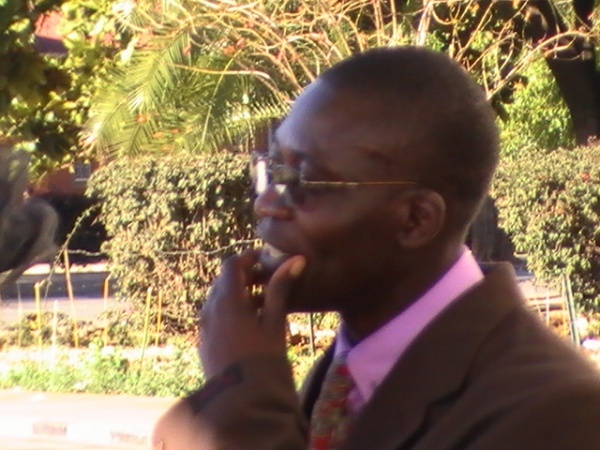 The question about the definition of Corporate Social Responsibility was meant to assess the knowledge of PR departments from two corporations, Econet and NRZ about their understanding of CSR and also as to whether they are aware of their activities in dealing with stakeholders through giving to the community or publics. CSR is modern PR that is dialogical and creates mutual understanding and good will (Skinner 2007). CSR as PR concept assisted the researcher to assess whether all PR departments for two corporations Econet and NRZ are quite clear about the meaning of the concept and how they should implement CSR for the good of their organisations. has one educational programme to benefit the entire nation However, unlike Econet, NRZ has a nationwide education programme that provides grants to the employees' children. This program is meant to cushion NRZ employees from financial constraints and enable them to send their children to tertiary institutions. At Econet, since the implementation of the Joshua Nkomo Scholarship Fund (JNSF) more than ten thousand students have benefited from it. Yet at NRZ less than five hundred students have benefited from the NRZ scholarships. Unlike Econet where JNSF benefit external publics, NRZ bursary benefits the employees' children. Again NRZ through its corporate social philanthropy more than five hundred students have benefited. Econet unlike NRZ has scholarships meant for external and internal publics. This clearly shows that the PR department at Econet; unlike at NRZ has an effective approach to CSR programmes as reciprocal communication with the publics. Econet CSR programmes such as “The Capernaum Trust”, which was formed in 1996 was implemented and controlled by the PR department. This clearly shows the effectiveness of PR department at Econet as compared to that at NRZ. Capernaum Trust has a vision to transform the lives of orphans in the most economically distressed communities into self reliant and socially vibrant individuals through the provision of food, training and education support. The trust has so far catered for more than 12.000 orphans through out the country. Most of the education fund at Econet is meant to benefit students in tertiary institutions. Midlands State University has more than 100 students who benefit from this trust. There are ten students in the media department at MSU who are beneficiaries of the Capernaum Trust. In The Financial Gazette dated 14 April 2006 state that, the Capernaum Trust Director Ms Stembeni Chirume asserted that the Trust was assisting children with educational support up to tertiary level throughout all the provinces in Zimbabwe. Ms Chirume further indicated that over 40 000 children have benefited from the scholarship program since 2005. Among the beneficiaries in 2005 120 were students doing A “Level and 167 doing O”Level. Talented children through Capernaum Trust are allowed to pursue their dreams by sending them to universities where they study in various faculties. From the findings of the study on CSR through education the researcher realized that programs at Econet and NRZ fulfill the open system theory that asserts that the organisation should interact with the environment for it to function well. Econet and NRZ are interacting with the environment by responding positively to the needs of their publics which may be caused by an unfriendly environment. For instance, during the Cholera Campaign of 2008 Econet circulated the messages to their subscribers about cholera, while NRZ offered Cholera affected publics free transport to health centers. As part of CSR both Econet and NRZ sponsor sports. Econet PR department provides sponsorship for the annual Harare Athletics Club (HAC) competitions. The company also supports sporting activities in the country, which include football and cricket. Econet has gone further to form its soccer team, the “Buddies Boys”, which takes part in the country's communication League. NRZ on the other hand sponsors soccer and “Railstars”; a vibrant team that was relegated from Premier Soccer League is still being sponsored by NRZ. NRZ consistently sponsors Railstars and reflects consistency that has been discussed by Carroll (2003) in her 3C-SR model of CSR. The Financial Gazette dated 16 September 2005: says that Econet through its PR department sponsored Harare Athletics Club (HAC) 20 Miler Road Race, where over 180 athletes of different backgrounds and ages convened to run until 5 December 2005. This is one good example in sports where Econet sponsors athletes through their corporate social responsibility programmes to create mutual understanding with their publics. As part of CSR Econet has played a vital role in assisting its publics to stay healthy. In 2008 Econet took a more direct and urgent role under health and welfare program to assist the publics who were affected by cholera. In the cholera health crisis Econet provided financial and logistical support to teams of dedicated health workers that were involved in fighting the cholera epidemic that affected the country during the later part of 2008. Using printed documentaries about Econet, the PR department at Econet offered wide airtime distribution network to spread awareness by printing anti-cholera SMS messages that were forwarded to every mobile phone with Econet lines. A Health-care Trust Zimbabwe in December 2008 was established as an attempt to assist the publics affected by cholera. This study's findings reflect that Econet through its CSR programmes implemented environmental programmes. Through the PR department's approach to CSR “Econet In the Community” programme was launched in 2004 and part of its intended focus was to target environmental awareness initiatives. From time to time, the company has supported activities aimed at changing the community's attitude towards disposal of litter. In the Financial Gazette dated September 1-7 2005, Econet published its corporate community responsibility article entitled “Econet supports environmental programmes”. The PR department at Econet partnered with the Harare Junior City Council, to conduct clean ups on the Eastern part of Samora Machel Avenue, one of the city's busiest thorough fares. The initiative was supported by the Harare City Council itself, which provided implements that were used for the exercise. The Junior Council mobilized scores of volunteers from various high schools around the city, who displayed a unique sense of discipline and civic spiritedness. Econet through its CSR programme supported clean up initiatives ties in closely with the company's desire to see users of its preferred services becoming more environmentally conscious, through appropriate disposal of used recharged cards in bins around the city. NRZ like Econet is also concerned with the environment as part of their CSR programmes implemented by PR department. NRZ PR department through its CSR programmes installed a fume absorbing plant for the metaling shop to prevent workshop personnel from exposure to toxic fumes emitted during the smelting process. The metaling shop is one of the key sections of the engineering workshop at NRZ and its main function is to recondition plain bearings for use on locomotives and bearings. The process entails re-melting white metal from worn out plain bearings and shell. However, the process emits lead fumes which cause a serious health hazard to the workforce if there are no mechanisms to extract the fumes from the building. Fumes produced at NRZ workshop polluted the surrounding environment. Therefore the NRZ PR department had to implement measures that assisted in reducing pollution. Again in February 2005 NRZ organized a health campaign that cleaned up the 5th Street in Bulawayo in conjunction with the Bulawayo City Council. The study findings also indicated that the two corporate organisations' PR departments adopted the Two-way symmetrical model to communicate with their publics through the use of their organisations' web sites. The architecture of the web site at NRZ has a forum for comments. Here clients can enter their views which the company can use as feed back about the positive and negative impact of their CSR programmes. Econet web site is user friendly and allows the publics to enter their opinions about the Econet CSR programmes. The use of web-logs fulfills the “public Opinion model of PR that allows stakeholders to be engaged in a dialogue with the PR department employees at Econet. A reciprocal relationship was built and this was facilitated by feedback channels opened by both organisations. The few public members interviewed by the researcher indicated that they have communicated with the two organisations through their websites. This indicates the commitments of Econet and NRZ through their PR department to reach mutual understanding and goodwill with all their publics. 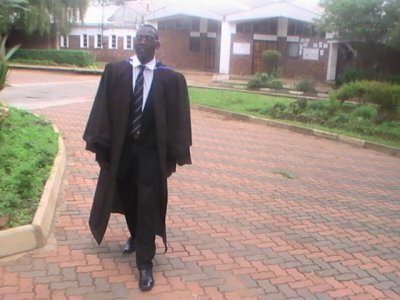 PR manager at NRZ Mr Fanuel Masikati is a professional PR practitioner, who communicates affectively with the publics. Masikati uses two-way communication and he listens to the public, although they have limited resources but his effort with his PR team is emulated by the publics. Corporate Communications Manager at Econet Mr Ranga Mberi is an excellent PR practitioner. All their programs for CSR are based on research and address the needs of the publics nationwide. Their web site is updated with all CSR programmes and the budget spent for CSR programmes. All corporations Econet and NRZ PR department indicated through their responses from questionnaires that they encounter negative impact from top management to fully implement CSR programmes. NRZ as a parastatal with government having major shares has faced financial constraint to implement public centers CSR programs. Both Econet and NRZ in the questionnaires and interviews conducted admitted that CSR/CSI contribute positively to their organisations. Enhance corporate image and clout. Build a strong corporate reputation. It increases sales and market shares. Increased ability to attract, motivate, and retain employees. Increase appeal to investors and financial analysts. Unlike Econet, NRZ states that to them CSR decreases operating costs and contribute to overall business goals by opening up new markets. For example, it provides opportunities to build long term relationship with distributors and suppliers. The finding of the study proved that Econet has more positive impact than negative of practising CSR in their organization through their PR department. While Econet have five positive impacts for practising CSR, NRZ have two positive impacts for practising CSR. This is probably because Econet unlike NRZ has a budget for CSR and CSR is one factor listed in their corporate policies. However, both corporates admitted that they have more positive impact by practising CSR than negative. that CSR to both Econet and NRZ enhance public awareness and concern for their cause. Again it can be argued that CSR support efforts to influence individual behavior change and industry business practices that improved public health. 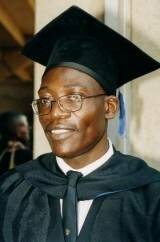 Mr Fanuel Masikati PR manager at NRZ viewed 2004 as a year of success in disseminating HIV and AIDS information to their employees at a Capacity Building workshop held at Griffin Hall. Capacity Building was an exercise being undertaken by the NRZ AIDS Awareness programme to re-equip AIDS Coordinators and Peer educators with new awareness techniques and approaches. Dumisani Sibanda, one of the first pupils to go public about his HIV and AIDS status was the driving force behind the NRZ awareness campaigns. Such CSR programs by NRZ have improved the turnaround of NRZ. Econet CSR programs assisted its employee and other members of their immediate family with anti-retro-viral drugs. Econet CSR programmes like “Live 2 Love” encourages members of society not to discriminate and stigmatize fellow citizens affected by HIV and AIDS and help to fight any prejudice against them. The PR department at Econet is convinced that HIV and AIDS have the potential to waste valuable trained human resources and reduce productivity. In addition, some researchers and PR practitioners in the U.S. refer to this as "Media Measurement “and/or "Publicity Tracking" research. In the United Kingdom, the technique is often referred to as "Media Evaluation;" and in Germany as "Media Resonance." Whatever the terminology used to describe this particular technique, more often than not its prime function is to determine whether the key messages, concepts and themes that an organisation might be interested in disseminating to others via the media do, indeed, receive some measure of exposure as a result of a particular public relations effort or activity. In the study the standards for Measuring PR Outputs effort at Econet and NRZ through assessment of published article for CSR to the publics for consumptions as indicate in the above bar line. As important as it might be to measure PR outputs and outtakes, it is far more important to assess PR outcomes at Econet and NRZ in implementing CSR programmes for good corporate citizenship. These measure whether the communications materials and messages which were disseminated have resulted in any opinion, attitude and/or behavior changes on the part of those targeted audiences to whom the messages were directed. It is usually much more difficult and, generally, more expensive, to measure PR outcomes, and to some extent PR outtakes, than it is to measure PR outputs. This is because more sophisticated data-gathering research tools and techniques are required. Measuring PR outputs is usually a question of counting, tracking and observing, while for PR outtakes and PR outcomes, it is a matter of asking and carrying out extensive review and analysis of what was said and what was done. The researcher had to ask the PR managers Mr Mberi from Econet and Mr Masikati at NRZ whether the publics phone back appreciating their assistance to them. Both organisation's PR managers gave the positive response which shows that general public fully appreciate their CSR and CSP programmes. The remarkable conclusion reached by the researcher after the data accumulated in the study is that both PR departments at Econet and NRZ are part of the management. Furthermore, both PR departments at Econet and NRZ play an essential part in approaching and practicing good citizenship by implementing CSR programmes that boost immensely their corporations' reputations and objectives. Although NRZ had a few loopholes that they require to meet their publics' needs for mutual understanding and goodwill, Econet's CSR programs outweigh NRZ's CSR by wide margin. Again in communication Econet is advanced as compared to NRZ and this could be the fact that Econet is a telecommunication organisation while NRZ is a transport oriented organisation. The salient idea in both organisations is that their PR departments are part of the management and are the ones that implement CSR programmes. Unlike NRZ that has been operating for more than a century, Econet has operated for 17 years. In conclusion, Econet and NRZ PR departments' approaches to CSR are appreciated by their general publics. Again the two organisations practise excellent PR practices that improve their organisations' image and reputation. To them CSR is not business ethics but rather, it is their burden to plough back to the community they serve. Grunig J.E (2001) The Role of Public Relations in Management and its Contribution to Organisational and Societal Effectiveness's, Maryland. Grunig J.E et al (1984) Managing Public Relations. USA: Holt Rinehart and Winston, Inc,. Kotler P and Lee N (2005) Corporate Social Responsibility United States, John Wiley and Son Publishers. Lindenmann,WK(2003) Public Relations Research for Planning and Evaluation.Gainesville,FL:Institute for Public Relations. http//www.institute for PR.com Accessed on 10 May 2007. Lubbe and Puth (1994) Public Relations in South Africa RSA. Isando: Heinemann Publisher. Mersham GM et al (1995) Public Relations, Development and Social Investment: A Southern African Perspective, Van Schaik, Pretoria. Railroader National Railways of Zimbabwe Journal January/February 2005: Volume 22 No. GPO Newspaper. Skinner, C and Von Essen, L (1995) The Hand Book of Public Relations. Fourth Edition. South Africa, Halfway House. Skinner,JC et al (2007) Hand Book of Public Relations, South Africa, Cape Town. Steam Locomotives of Rhodesia Railways by ED Hamer (Books of Zimbabwe). The Financial Gazette September 1-7 September 2005 Econet Auditing Financial Results for the Year ended 30 June 2005. The Financial Gazette September 21-27 2006 Econet Un-audited Interim Financial Results for the half year ended 31 August 2006 (p10). IF the statement written in The Financial Gazette; Zim Supplement, dated June 24-30 2010 is true then, I owe Douglas Mboweni all the respect he deserve in the country. The Financial Gazette dated June 24-30 said that, “ Douglas Mboweni is one of the pioneers of Econet Wireless, having joined in 1996 at a time the company, which was the first to seek a license as a mobile phone operator in Zimbabwe, was preparing to launch its service to the public”. What I know about Econet is that it started with Strive Masiyiwa in 1993 and in 1996 in was operational. Infact Econet has become one of the dominant telecommunications Company not only in Zimbabwe, but in Africa to offer quality service in communications. It is a fact that Mboweni has more than 20 years experience in the Information Technology and telecommunications Industries. This is vast experience that everyone would respect and emulate. This is not a surprise to see Econet being in the lead in telecommunications service providing. In Zimbabwe almost half of the population holds either “Buddies”, “Business Partner” and “Liberty” lines. Again almost more than a third of Zimbabwean population uses ECOWEB internet services. My wife and I are in the lead in using Econet telecommunications services. Econet is one of the telecommunications organisations' in Zimbabwe that entered international mobile market. It has launched the Mascom Wireless network in Botswana, Nigeria, South Africa, Lesotho, Zimbabwe, New Zealand and United Kingdom. In Morocco, through the reading that I made it emerged that Masiyiwa own Gulfsat Maghreb in Morocco. In Zimbabwe so far this is for the first time to have one man trying to network the entire Africa and has penetrated western countries wireless market. It is time for Africans to have their own media mogul, go to the history book. In global media, we have been learning about Rupert Murdock, Berlusconi, George Lukas and so forth. Now it is time to have books that tells history of people like Strive Masiyiwa, Douglas Mboweni, Trevor Ncube, Ibbo Mandaza and so forth. In my view Zimbabwe has talented Media gurus' who have worked under severe economic, political and social conditions. Most of the media owners from Zimbabwe have survived and are doing good local, regional and even abroad. I have been enticed and challenges by the community service programmes that Econet has implemented to benefit local people. Non-profit organisations' such as National Health Care Trust Zimbabwe, Capernaum Trust, Christian Community Partnership Trust, and Joshua Nkomo Scholarship Fund assist local population academically, social, healthy and even religious to better their lives. Technological, in Zimbabwe there is no telecommunication organisations' like Econet that has improved communication service delivery. Range boosters are established in all cities of the country and cables are laid from Harare to Bulawayo, in fact in every corner of the country. Econet has proved to be a giant and is engaged in both vertical and horizontal integration in terms ownership and control of the company. Vertical they are a wireless telecommunication company that offers buddies, liberty and business partner wireless lines. Horizontal they have merged internet service like ECOWEB, with satellite station like Gulf Maghreb and wireless mobile phone services. Ericsson under the terms of agreement will assist in the expansion of core and access of 2G and 3G networks. The aspect of media merging is important in understanding global media. Media scholars from higher learning institutions' such as national University of Science and Technology, University of Zimbabwe, Midlands State University and many other should conduct some research about these synergies by wireless telecommunication companies in Zimbabwe. Econet, Netone and Telecel need scholarly attention about their ownership patterns and control. Again important issues about their merging and operation is an interesting as an interesting issue that needs scholarly attention. New body of knowledge, theoretical framework and technological advancement springing from the three Zimbabwe telecommunications' organisations' need a thorough inquiry. MUROWA Diamond the third largest company in the world in mining and production of diamond have good community programs at Rencho in Masvingo .In Gweru Press Club, Israel Tokuenda Murowa Diamond spoke-person said that Murowa is a diamond mining company that is 32 years old. Again Murowa Diamond is currently operating in Australia, Canada and in Zimbabwe said the Murowa spoke-person. He said that Murowa is the first diamond mining company in Zimbabwe in Masvingo, Rancho since 1997. Again it is the first company to engage itself in indigenization through the creation of Rio Zimbabwe. Rio Tinto or Rio Zimbabwe is a joint venture of the Murowa diamond which was necessitated by the indigenization policy since year 2000, said Tokuenda.The joint venture of Rio Tinto or Rio Zimbabwe created a local company Rio Zimbabwe in 2003 which is part of Murowa Diamonds he said. Murowa Diamond have implemented community programs that benefit the local community in many ways.Just like any other local corporations like Econet Zimbabwe, Murowa diamond are committed to the welfare of their community said Daniel Mudondo, the rural and development officer for Murowa diamonds. In Gweru Press Club, Israel Tokuenda ,Murowa Genaral Manager told the journalist that Murowa Diamond employs 325 workers.In their workforce 25 percent of them are women and 40 percent are local communities. However, he also told journalist that Murowa Diamonds a looking forward to increase the percentage of their women workforce to 50 percent before year end . Murowa Diamonds is committed to the safety and health of the community they serve he said. In response to the journalist question whether their community programs are implemented as business ethics that do not benefit the company, Tokuenda said that they implement community programs to mutual benefit the community and the Murowa Diamonds. Murowa Diamond are so much into open cast mining and in one tonne they produce 0.75 karate which is five grams. Tokuenda said that so far 2008 was their best in terms of production which enabled them to yield 300 karates.responding to journalist as to whether this was not misleading. Tokenda said that there is no where they can provide false information to the media for publicity since that can tarnish their image. The community programs implemented by Murowa mining company are initiated by the community. Through participatory development model, the community initiate programs that they wish to see being implemented by the Murowa mining , said Tokuenda. So far Murowa mining Company has assisted the surrounding community in education, sports, HIV?AIDS and in economic empowerment. 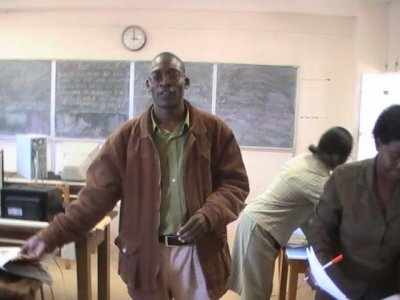 The Rural development Officer, Daniel Mudondo told Gweru Press Club that so far they constructed fifteen double classrooms. In addition, they donated textbooks approximately 8000 to the surrounding schools where they operate. Again Murowa have poured money in community football by sponsoring local teams to participate in social soccer league. Murowa Mining Company is operating in region 5 and have drilled five boreholes to improve water condition of the local people.They have also constructed deep tanks in all areas where they operate and currently are working together with AREX to conduct intensive farmer training programs to benefit the local community in Rancho, Masvingo. 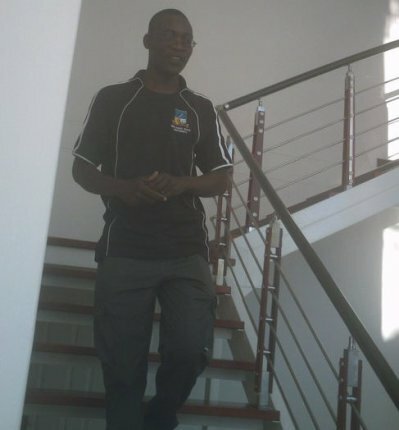 Health wise Murowa diamond have constructed clinics and provided it with drugs said Mudondo. He added that, all the hospitals and clinics they constructed are electrified and well furnished. In 2008, where there was cholera out break Murowa Diamond provided drugs and assisted the local community with enough food said Tokuenda. “ We invite visiting doctors to come to our clinics to provide medications for the community patients for free because we want to have a health community surrounding us, said Tokuenda.